Cavorting half naked on the beach, diving into white-horsed breakers, swimming out to crowded platforms – all wonderful – the perfect memories of a beautiful summer holiday by the sea. Afterwards comes the inevitable crinkly fingers and toes from staying in the water too long or the slight shiver that gives you the same message or the ever so slight feeling of being a bit mucky that contact with salt and sand gives. A nice hot shower, lots of shower gel and shampoo and a huge, perfectly dry bath towel are all you need to get over whatever it is you were feeling – apart from the unpleasant feeling of having had too much exposure to the old currant bun, as my Dad used to say. Now comes the relaxing feeling that putting on a clean white cotton shirt and a nice light pair of trousers gives you. Now you feel the day is complete. Now you feel able to do justice to a plate of fish or a kebab or a juicy steak. If like we do though, you prefer camping on lonely beaches without facilities like showers and airing cupboards, you will know that that most ubiquitous substance – sand – will conspire against the comforts just referred to. Unlike its more fertile cousin – soil – sand is suggestive of relaxation on beaches, but like soil, which we call ‘dirt’ when it turns up in a place we’d rather not have it, sand can sometimes be a nuisance. 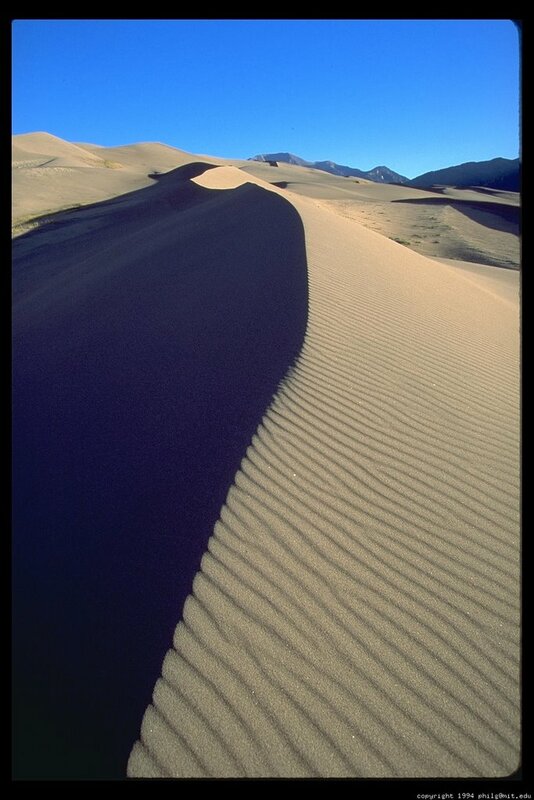 Sand invades swiftly and is loathe to depart once ensconced. It is the most regular and democratic substance known to man – after water, diamond and air. Its angle of repose is uniform whether in the deserts of Sudan, or under the scorching sun of a Nevada sky. This homogeneity – this lack of imaginative behaviour – is due to its basic structure – which I will call its grittiness. Chemically speaking, sand is a rich and concentrated cocktail of all manner of abrasive substances, each of which is guaranteed to make you itch – chiefly, I suppose, silica, quartz, and a liberal peppering of whatever happens to be the indigenous rock of the area. The sands of the Bay of Naples are black, reflecting the volcanic origins of much of what lies beneath that fertile and green crescent of sunshine. But it is its gritty nature that impedes our comfort once we have left the beach. In between your toes, under the collar of your shirt, or between a piece of lettuce and a piece of cucumber in an otherwise delicious and refreshing sandwich, it is most unwelcome. Unlike soil though, which you recall we sometimes call ‘dirt’ when it annoys us, we have no negative word for sand. Is this lack due to our associating sand with fondly remembered holidays, or is it because most of us landlubbers rarely see it, except on building sites and in egg timers?